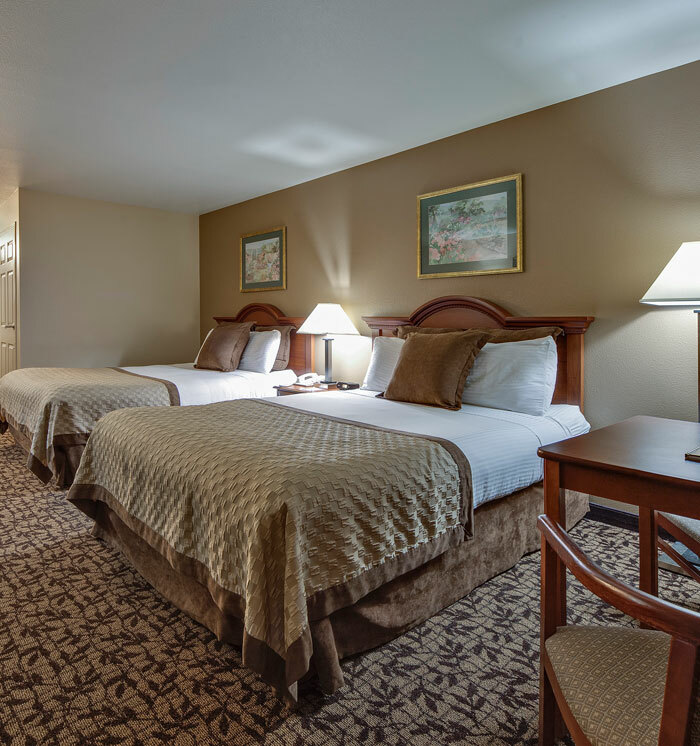 Revel in the laid-back spirit of the Napa Valley in hotel rooms and suites that radiate Wine Country charm Located just around the corner from the shops and restaurants that line historic downtown Napa, each of our 60 accommodations is adorned with decor that's inviting and modern. Take advantage of thoughtful amenities like a mini-fridge, microwave, and wet bar vanity to stay well-stocked and free Wi-Fi to stay connected. Upgrade to a hot tub suite for the ultimate comfort or choose a quaint standard room that offers everything you need to relax while exploring everything the Napa Valley has to offer. Every reservation at Hawthorn Suites by Wyndham Napa Valley offers complimentary daily fresh-prepped breakfast, parking, and access to our fitness center, so you can make the most of your visit to Napa. 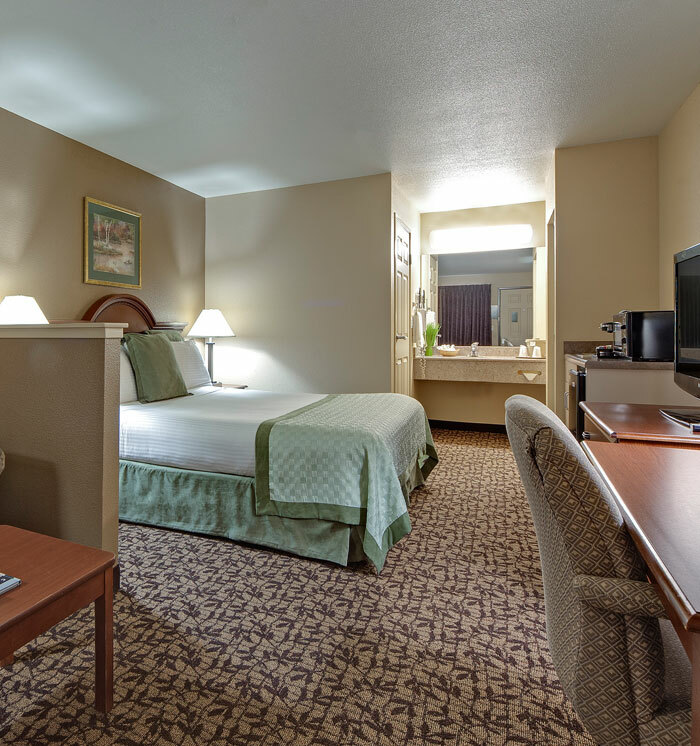 Rest easy in our king studio room, featuring one king-size bed, a comfortable sitting area with a sofa and coffee table, and a work desk with an ergonomic chair for staying on-task during your stay. 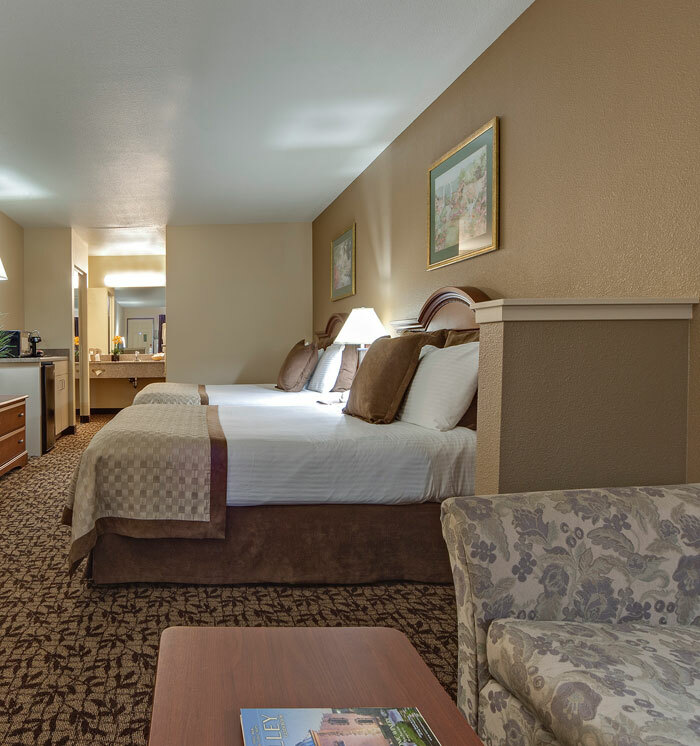 Peak comfort and space await in this spacious suite, featuring a king-size bed, a sitting area with a sofa and coffee table, work desk with an ergonomic chair, and a relaxing in-room hot tub. Boutique-style charm blends with modern comfort and convenience in our queen studio room. 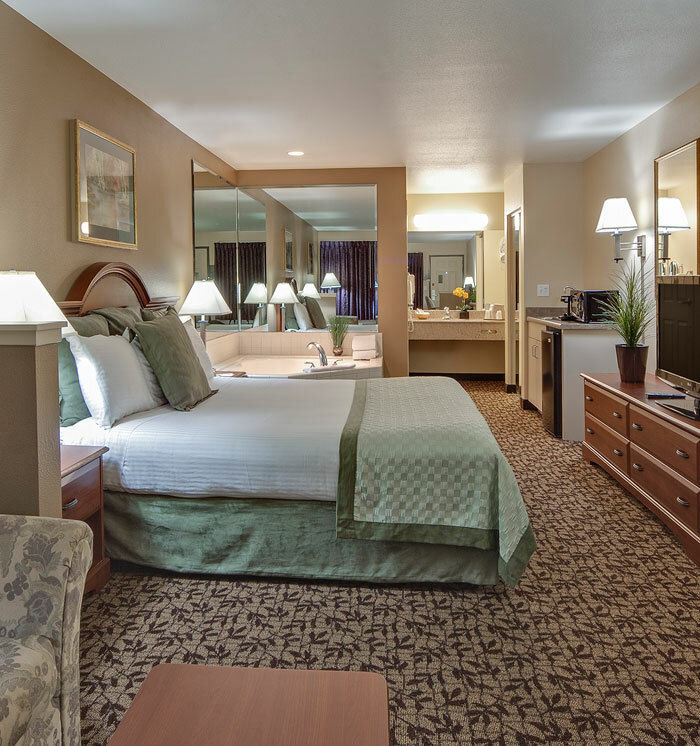 Enjoy two queen-size beds, an activity table and two chairs. Unwind in the heart of Napa. Our double queen suite features two queen-sized beds, a sitting area with a sofa and coffee table, and a work desk with an ergonomic chair for getting down to business.